Home » Lawsuits » Should I Agree to a High/Low at Trial or Arbitration? 1 What Is a High/Low Agreement? 2 How Does a High/Low Agreement Work? 7 Why Do Insurance Companies Want High/Low Agreements? 8 When Should You Never Agree to a High/Low Agreement? 9 When Should You Agree to a High/Low Agreement? What Is a High/Low Agreement? A High/Low agreement is a form of settlement between the plaintiff and the defendant’s insurance company to create a range with upper and lower limits that the plaintiff can receive at either arbitration or trial. It guarantees the minimum the plaintiff can receive and the maximum the defendant will have to pay. When an offer of a High/Low agreement is made by the defense, your attorney has an ethical obligation to communicate the offer with his/her client because it is a settlement offer. A lawyer cannot decline or enter into a High/Low agreement without the client’s consent. How Does a High/Low Agreement Work? The “Low” provides a minimum amount of money the insurance company will pay if you lose your case or a decision, judgment or verdict is less than the “Low”. The “High” is a cap or maximum amount of money the insurance company will pay even if you obtain a decision, judgment or verdict for more than the agreed amount. The details of a High/Low agreement should be written on paper since many aspects of this type of settlement are complicated. The details of a High/Low agreement are usually not disclosed to a jury but may be disclosed to an arbitrator or judge at trial. The defendant’s insurance policy has a liability limit of $300,000. The insurance company enters into a High/Low agreement of $40,000/$200,000 with the injured plaintiff. Both the plaintiff and the insurance company must consent if arbitration is desired. Insurance companies will often try to get a Hi/Low agreement and may decline to arbitrate without it. Insurance companies usually will not agree to arbitrate without a High/Low agreement if the insurance policy upper limit is substantially more than the case is worth such as a $500,000 insurance policy and a case worth approximately $25,000. When there is an umbrella insurance policy, the insurance company will try to get an agreement to prevent any money from being paid by the umbrella policy. A decision at a binding arbitration usually cannot be appealed. Additionally, since a High/Low agreement is a settlement, the arbitration decision usually cannot be appealed. Subject to our client’s approval, we do not agree to High/Low agreements at arbitration unless the insurance policy is much more than the case is worth. If the insurance company is afraid that an arbitrator will award more money, then it’s likely a jury will also. It’s our position that since we can take the case to trial with a jury without a High/Low agreement, why should we agree to it at arbitration. At a typical arbitration in New York, your case is heard by an arbitrator, instead of a jury, who provides a final decision which is binding on both sides. The arbitrator is employed by a private company which is paid by both sides. Arbitration will usually speed up a case; take 2 hours instead of a week or more at trial; and can cost $1,500 instead of $15,000-$25,000 for a trial. See more information about arbitrations. Although you don’t need the insurance company to agree to a trial, they frequently try hard to convince plaintiff’s attorneys to agree to a High/Low at trial. A lot of attorneys agree. If you agree to a High/Low agreement at trial, the insurance company has no incentive to make a settlement offer of a specific amount and your case will go all the way to the jury at trial and will not be settled on the “doorstep” of the court. Because a High/Low agreement is a settlement, the jury verdict usually cannot be appealed, although appellant rights can be retained in a written High/Low agreement. In a New York motorcycle collision (not our case), the parties orally entered into the court record a high-low agreement in which the plaintiff would receive “anything the jury comes back with” between $150,000 and $900,000. The jury returned a verdict for $225,000 but attributed 75 percent of the fault to the plaintiff, thus reducing his amount to $150,000. The plaintiff appealed claiming he should receive $225,000, the full amount of “anything the jury comes back with” between $150,000 and $900,000 and it should not be reduced for comparative negligence, but the state appeals court rejected the appeal because the high-low agreement didn’t address the issue of comparative negligence. Batista v. Elite Ambulette Service Inc., 281 A.D.2d 196 (N.Y. App. Div. 2001). Some of the items to be considered in a written High/Low agreement include the right to collect prejudgment interest; the right to appeal comparative negligence; and the question of whether a high-low agreement reached during a retrial would cover the costs of an earlier mistrial. Preserving some appellate rights, other than the damage amount, in a high-low agreement keeps both sides honest and can alleviate fears that a less scrupulous lawyer might try to introduce improper evidence or statements. Without the threat of appeal, there is little incentive to keep all sides above board. Unless there is an additional and substantial advantage or our client wants it, we never agree to a High/Low agreement at trial because it usually just benefits the plaintiff’s attorneys by ensuring that we get our money back for the trial expenses. Since the decision of the Court of Appeals on June 27, 2007, in Matter of Eighth Judicial District Asbestos Litigation, the disclosure of High-Low agreements to the court and to all parties is required. Failure to disclose the high-low agreement could result in appeals and a new trial. In that case, the plaintiff with mesothelioma entered into a high-low agreement with only one of the two defendants consisting of $155,000 low and $185,000 high (I think a high-low agreement with a $30,000 spread is insane). Surprise, surprise! The jury awarded $3,750,000. The jury apportioned 40% of the award to defendant Niagara and 60% to the defendant Garlock. Defendant Niagara who entered into the agreement had to pay only $185,000! But Garlock was supposed to pay $2,250,000. After the trial, Garlock found out about the high-low agreement with the other defendants and was understandably upset. Garlock moved to set aside the verdict and for a new trial, but the trial judge denied the motion and entered judgment against the defendants. Garlock appealed to the Appellate Division which confirmed. Garlock then appealed to the New York State Court of Appeals which reversed, ruling in favor of Garlock. The NYS Court of Appeals did not rule on whether the high low agreement or its terms should be disclosed to the jury. This is a matter that should be discussed with the trial judge but I do not believe that there is any necessity of disclosing the agreement to the jury. In fact, if I were to enter into a high low agreement, I would do so with the condition that the agreement is canceled if the judge rules that the agreement must be disclosed to the jury. Why Do Insurance Companies Want High/Low Agreements? If the insurance company has to pay money above the insurance policy, it is paid from corporate profits and someone will be fired. Claims representatives and defense attorneys have been fired on some of our cases. If there is an umbrella insurance policy, there is a very substantial Benefit to the insurance company with the underlying insurance policy because, without a High/Low agreement, the underlying insurance company could be subject to a bad faith action from the umbrella insurance company. When Should You Never Agree to a High/Low Agreement? When you have a case that you think will evoke extreme sympathy. If the Low limit of the agreement does not leave you enough money after deduction of attorney fees, trial expenses, and other case expenses. When the High limit is substantially lower than the value of your case. An example of why we don’t like High/Low agreements is a wrongful death case where the family of a woman who died agreed to cap the jury verdict at $2.9 million. The jury gave a verdict of $31 million against a hospital but the family could only receive $2.9 million. The family was represented by a well-known attorney-partner at a well-known law firm. When Should You Agree to a High/Low Agreement? High/Low settlement agreements typically the insurance company more than the plaintiff. However, there are benefits to the plaintiff. It is often argued that High/Low agreements help to improve the image of lawyers, making plaintiffs lawyers seem less greedy and defense lawyers more reasonable. 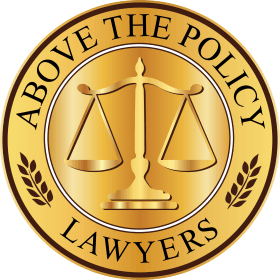 If you’re concerned about the image of lawyers, you might be inclined to enter into a High/Low agreement. The most obvious advantage to a plaintiff is the secure feeling of knowing that if you lose or the jury returns a very low verdict, lower than the High/Low agreement, at least you’ll walk away with some money. We generally dislike the idea of trying personal injury cases with a High/Low agreement. It’s our position that if the insurance company is going to force us to trial, we prefer to prove our case and the chance of a high verdict in the amount we feel our case is worth. However, we have many cases and can easily afford the loss of the case including the cost of case expenses and trial expenses. Our client has only one case and the money is likely much more important to our client than it is to us. When you’re worried about the costs and increased legal fees of an appeal. Both the low amount and the high amount are negotiable. Other items are also negotiable for the High/Low settlement agreement. For instance, the plaintiff could demand a summary jury trial in which the contents of the medical records are argued to the jury instead of paying doctors to testify. Not only does it save money for the plaintiff but the insurance company also saves money. That there will be no disclosure of the agreement to the jury. Whether any disputes regarding the agreement will be decided by the trial judge or how else resolved. Whether to preserve or waive the right to make any motions at the close of the other party’s case. Whether to preserve or waive the right to post-trial motion practice. If at trial, advise the judge and state the agreement on the record with the client agreeing, on the record, to the terms of the agreement. Download a free sample form for attorneys for clients to sign their informed consent to participate in a High-Low Agreement. The advice here is general advice for our clients to review and discuss with us. We are not your attorneys unless you sign a retainer with us and without a retainer, we cannot provide you with advice so the information here is not advice about your case but only general information. Unfortunately, every case is wildly different so it’s not possible to provide advice for your particular case. The decision as to whether or not to offer, accept or enter into a High/Low agreement is a complicated decision which requires knowledge of many facts of the particular case and the attorney’s experience and ability to negotiate, prepare for trial try a case.